Because it wouldn't be a Harry Potter story if there wasn't a book version. 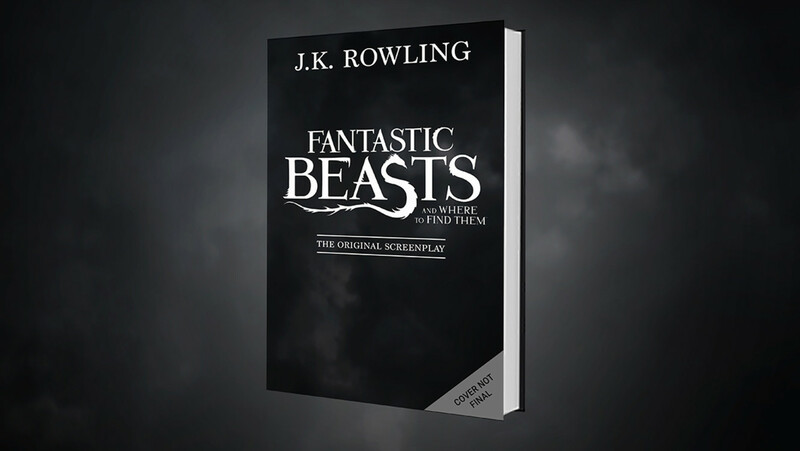 Pottermore is publishing J.K. Rowling’s screenplay for Fantastic Beasts and Where to Find Them. Fantastic Beasts and Where to Find Them, the Wizarding World movie tracking Newt Scamander’s adventures in 1920s-era New York, is gonna be released in book form… but maybe not in the way you might have hoped. You can pre-order the digital version or the physical version on Amazon. This is great news for anyone interested in how to craft a screenplay, and Potter fans will of course also want to get their hands on this for the unique insights into how Rowling describes settings, characters and beasts. It’s still just the script, however, so fans hoping for a full novelization of the movie will be left disappointed. Interestingly, the script for J.K. Rowling’s other non-book Potter project, Harry Potter and the Cursed Child, is also being published in book format. Clearly, this is in direct response to the fans who are calling for more Harry Potter books from Rowling, even if it does kind of miss the mark. Still, let’s be real: We’re totally all going to be buying the “book version” of Fantastic Beasts — and hope for some insightful notes from J.K. Rowling in the margins!